Biohazard cleanup crews are extensively trained to handle the decontamination process of your home or business in the aftermath of many biohazard situations. Common scenarios that warrant a professional restoration include sewage backups, chemical spills, blood pathogens and methamphetamine labs. When your property has been exposed to biological and chemical contaminants, your health is at risk. These situations all leave harmful residues behind, including bodily fluids, such as blood, medical waste, and microorganisms that can harbor viruses and toxins. When not handled quickly, these biohazard materials can rapidly spread infection and disease. These situations should be considered emergencies that are best left to a biohazard cleanup crew. Biohazard materials can be dangerous if handled without proper training, equipment, and protection. Emergency cleaning services know how to remove these materials effectively while containing the potential spread of sickness. If you are dealing with a crime scene, this is another reason to leave the job to a biohazard cleanup crew. These professionals are trained to cooperate with law enforcement in the aftermath of a crime. If you attempt to handle the process yourself, you pose the risk of hindering an investigation through cross-contamination or otherwise meddling with evidence. These professionals also ensure that your property is thoroughly sanitized, even when everything looks clean. Proper sterilization will make your home or business safe again, and biohazard cleanup crews have access to commercial-grade equipment and disinfectants that you wouldn’t. 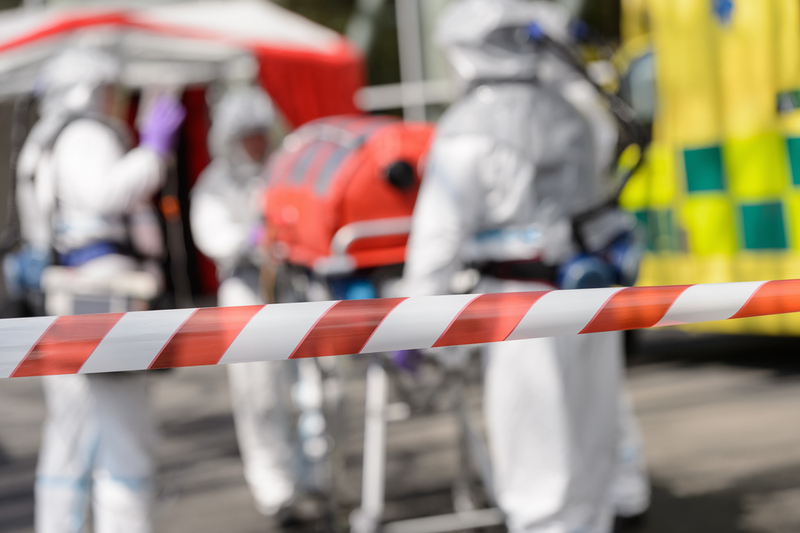 If you have recently been involved in a biohazard scenario, call the commercial restoration experts at SERVPRO of Greater St. Augustine / St. Augustine Beach. Their biohazard cleanup crew specializes in cleanup and restoration services for both residential and commercial properties. Each employee is thoroughly trained at SERVPRO’s corporate training facility, meaning that they have the skills and knowledge to handle everything from mold remediation and emergency cleaning services to storm damage restoration and water extraction in the aftermath of a flood. Learn more about their disaster recovery team online or by giving them a call today at (904) 429-4457.